The term "car detailing" has been widely used for some time but it is still not often understood. To confuse matters, an ever increasing number of businesses and individuals are using the term simply because they wash and wax a car. 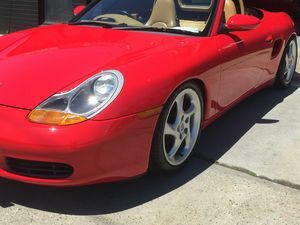 Car detailing really isn't defined by one single process but is instead a term that covers a wide variety of services, techniques and products which are used to get the best results. An express car wash may get your car clean by typically spending an hour or less on it and a body shop may quickly run a rotary polisher over your car to remove a few marks, but neither can be truly classified as detailing. Knowledge - A technical understanding of every aspect of a cars finish. Years of experience and know how ensure quality of workmanship. Equipment - State of the art equipment and use of the latest, up to date products. Time - A typical detail can take anywhere from 10 to 40 or more hours to complete. Aftercare - Being able to provide extensive after service support and products. 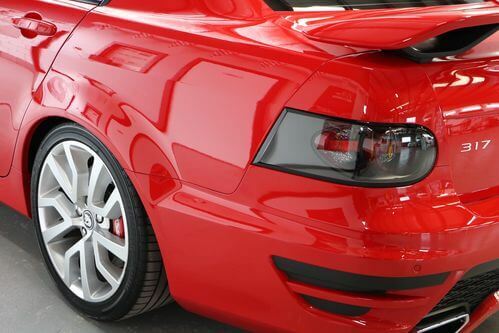 Paint protection – Getting the car looking its best and ensuring that it stays that way. The paintwork will be enhanced to a highly reflective gloss and shine. The finish will be better protected from UV rays and contaminants. Existing swirls, marks and light scratches are removed & not covered over. Your car will be easier to maintain and keep clean. Detailed cars retain a higher resale value and are easier to sell. Faded or dull paintwork can be restored to its former glory. Interiors can be cleaned, treated and protected to stay looking new and fresh. Cars de-value quickly, so it makes good sense to try and recoup as much money as you can when it comes time to sell. A pre-sale dent repair and detail package will not only make your vehicle look spectacular to prospective buyers, your chances of selling quickly are also increased. We often receive feedback from our customers telling us they get back twice the value of what they spent on the pre-sale treatment.